Mina (also known as the Tent City) is a neighborhood of Mecca in Makkah Province, in western Saudi Arabia. It is situated 5 kilometres to the east of the Holy city of Mecca, and stands on the road from Mecca's city centre to the Hill of Arafat. It covers an area of approximately 20 km². The picture describes the tents in Mina city (Saudi Arabia), just 2 kilometers away from Mecca. The tents are air conditioned with evaporative cooling units made in Australia. Mina is best known for the role it plays during the annual Hajj pilgrimage. More than 100,000 air-conditioned tents that can house more than 3 million people provide temporary accommodation to pilgrims. In the valley of Mina there is the Jamarat Bridge, the location of the ritual of the Stoning of the Devil, performed between sunrise and sunset on the last day of the Hajj. Mina is the place where pilgrims throw stones, commemorating the occasion that the Prophet Ibrâhîm (Abraham) stoned the Devil that came between him and the command Allah had set him. Many pilgrims at hajj walk around the Ka`bah seven times, then visit the Well of Zamzam. Usually, they spend their first night in the Valley of Mina. This ritual occurs from the eighth to the twelfth day of the Ḥajj. At Mina, men and women are not allowed to sleep together. During the Syrian Civil War, the international community pressured Saudi Arabia to use its unoccupied tent city to house war refugees. On 24 September 2015, an overcrowding situation caused more than 2,000 people to suffocate and be crushed to death while injuring 934 others during the annual Hajj pilgrimage in Mina, Mecca. The incident happened at the intersection of streets 204 and 223 leading up to Jamaraat bridge. It is the deadliest accident to occur in the Hajj since the 1990 disaster that killed 1,426 people. It is the deadliest stampede of the 21st century. This crowd collapse caused the deaths of at least 2,236[update]. Estimates of the number of dead vary; the Associated Press reported 2,411[update] dead. ^ a b if-PV-mk, teleSUR /. "Saudis Accused of Not Taking Refugees Despite 100K Empty Tents". ^ "Saudi Arabia Refugee Policy Controversy: King Salman Condemns 'False Accusations' Over Resettlement Policy". 15 September 2015. ^ mh-CM-mk, teleSUR /. 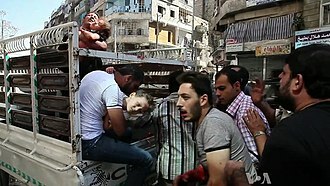 "Saudi Arabia Says Accepted 'Millions' of Syrians, Facts Disagree". ^ "Iran says tests will show cause of diplomat's death in Saudi". AFP. 27 November 2015. Archived from the original on 29 November 2015. Retrieved 29 November 2015. ^ Gambrell, Jon; Ahmed, Baba (9 December 2015). "Hajj Stampede in September Killed Over 2,400, New Count Finds". The New York Times. Associated Press. Retrieved 9 December 2015. 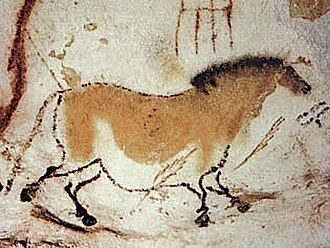 Wikimedia Commons has media related to Mina. This article about the geography of Saudi Arabia is a stub. You can help Wikipedia by expanding it. The Jamaraat Bridge is a pedestrian bridge in Mina, Saudi Arabia, near Mecca used by Muslims during the Stoning of the Devil ritual of the Hajj. The purpose of the bridge is to enable pilgrims to throw stones at the three jamrah pillars either from the level or from the bridge. Jamaraat is the plural of jamraah, the Arabic term for each of the involved in the stoning ritual. It literally means a piece of stone or a pebble. The bridge was constructed in 1963, and has been expanded several times since then. The pillars extend up through three openings in the bridge, until 2006, the bridge had a single tier. At certain times, more than a people may gather in the area of the bridge. Following the January 2006 Hajj, the old bridge was demolished, the ground and first levels were complete in time for the 2006/2007 Hajj, which passed without incident. Construction on the two levels have been completed since December 20071428 AH Hajj. The new bridge contains a wider column-free interior space and expanded jamrah pillars many times longer than their pre-2006 predecessors, additional ramps and tunnels were built for easier access, and bottlenecks were engineered out. Large canopies are planned to each of the three jamrah pillars to protect pilgrims from the desert sun. Ramps are being built adjacent to the pillars to speed evacuation in the event of an emergency, Saudi authorities have issued a fatwa decreeing that the stoning may take place between sunrise and sunset, rather than at the mid-day time that most pilgrims prefer. During the Hajj, overcrowding on the bridge can create a hazard, being the last day of the Hajj, some will bring their luggage. On May 23,1994, a stampede killed at least 270 pilgrims, on April 9,1998, at least 118 pilgrims were trampled to death and 180 injured. On March 5,2001,35 pilgrims were trampled to death in a stampede, on February 11,2003, the stoning of the Devil ritual claimed 14 pilgrims lives. On February 1,2004,251 pilgrims were killed and another 244 injured in a stampede, on January 12,2006, a stampede killed at least 346 pilgrims and injured at least 289 more. On September 24,2015, the 2015 Mina disaster in the tent city near the bridge killed between 1,100 and 2,431 people and injured 934, following the 2004 crush, Saudi authorities embarked on major construction work in and around the Jamaraat Bridge area. 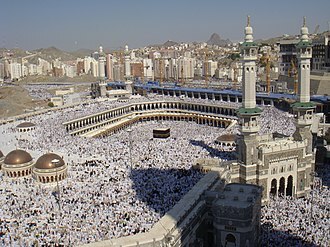 Mecca or Makkah is a city in the Hejaz region of Saudi Arabia that is capital of the Makkah Region. The city is located 70 km inland from Jeddah in a valley at a height of 277 m above sea level. Its resident population in 2012 was roughly 2 million, although more than triple this number every year during the hajj period held in the twelfth Muslim lunar month of Dhu al-Hijjah. Mecca is home to the Kaaba, by majority description Islams holiest site, Mecca was long ruled by Muhammads descendants, the sharifs, acting either as independent rulers or as vassals to larger polities. 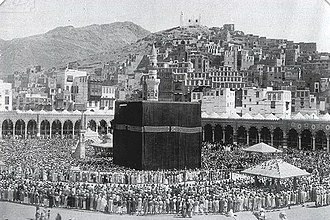 It was conquered by Ibn Saud in 1925, during this expansion, Mecca has lost some historical structures and archaeological sites, such as the Ajyad Fortress. Today, more than 15 million Muslims visit Mecca annually, including several million during the few days of the Hajj, as a result, Mecca has become one of the most cosmopolitan cities in the Muslim world, despite the fact that non-Muslims are prohibited from entering the city. The Saudi government adopted Makkah as the spelling in the 1980s. The full official name is Makkah al-Mukarramah or Makkatu l-Mukarramah, which means Mecca the Honored, the ancient or early name for the site of Mecca is Bakkah. An Arabic language word, its etymology, like that of Mecca, is obscure, the form Bakkah is used for the name Mecca in the Quran in 3,96, while the form Mecca is used in 48,24. 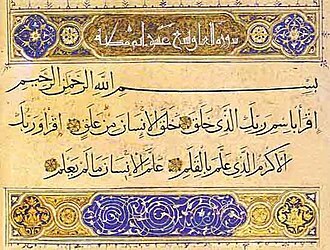 In South Arabic, the language in use in the portion of the Arabian Peninsula at the time of Muhammad. Other references to Mecca in the Quran call it Umm al-Qurā, another name of Mecca is Tihamah. Arab and Islamic tradition holds that the wilderness of Paran, broadly speaking, is the Tihamah, yaqut al-Hamawi, the 12th century Syrian geographer, wrote that Fārān was an arabized Hebrew word. One of the names of Mecca mentioned in the Torah, Mecca is governed by the Municipality of Mecca, a municipal council of fourteen locally elected members headed by a mayor appointed by the Saudi government. As of May 2015, the mayor of the city was Dr. It is one of the five pillars of Islam, alongside Shahadah, Salat and Sawm. The Hajj is the largest annual gathering of people in the world, the state of being physically and financially capable of performing the Hajj is called istitaah, and a Muslim who fulfills this condition is called a mustati. The Hajj is a demonstration of the solidarity of the Muslim people, the word Hajj means to intend a journey, which connotes both the outward act of a journey and the inward act of intentions. The pilgrimage occurs from the 8th to 12th of Dhu al-Hijjah, because the Islamic calendar is lunar and the Islamic year is about eleven days shorter than the Gregorian year, the Gregorian date of Hajj changes from year to year. Ihram is the given to the special spiritual state in which pilgrims wear two white sheets of seamless cloth and abstain from certain actions. The pilgrims shave their heads, perform a ritual of animal sacrifice, Pilgrims can go to Mecca to perform the rituals at other times of the year. This is sometimes called the lesser pilgrimage, or Umrah, the present pattern of Hajj was established by Muhammad. However, according to the Quran, elements of Hajj trace back to the time of Abraham, according to Islamic tradition, Abraham was ordered by God to leave his wife Hagar and his son Ishmael alone in the desert of ancient Mecca. In search of water, Hagar desperately ran seven times between the two hills of Safa and Marwah but found none, returning in despair to Ishmael, she saw the baby scratching the ground with his leg and a water fountain sprang forth underneath his foot. 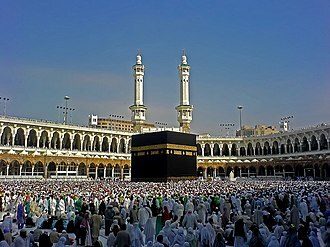 Later, Abraham was commanded to build the Kaaba and to people to perform pilgrimage there. The Quran refers to incidents in verses 2, 124-127 and 22. 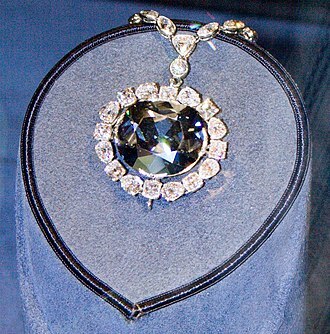 It is said that the archangel Gabriel brought the Black Stone from Heaven to be attached to the Kaaba, in pre-Islamic Arabia, a time known as jahiliyyah, the Kaaba became surrounded by pagan idols. In 630 CE, Muhammad led his followers from Medina to Mecca, cleansed the Kaaba by destroying all the pagan idols, in 632 CE, Muhammad performed his only and last pilgrimage with a large number of followers, and instructed them on the rites of Hajj. The Kaaba, referred as Al Kaaba Al Musharrafah, is a building at the center of Islams most sacred mosque, Al-Masjid al-Haram, in Mecca, al-Hejaz, Saudi Arabia. It is the most sacred site in Islam and it is considered the House of Allah and has a similar role to the Tabernacle and Holy of Holies in Judaism. Wherever they are in the world, Muslims are expected to face the Kaaba when performing salat, from any point in the world, the direction facing the Kaaba is called the qibla. The sanctuary around the Kaaba is called Al-Masjid al-Haram, one of the Five Pillars of Islam requires every Muslim who is able to do so to perform the hajj pilgrimage at least once in their lifetime. Multiple parts of the hajj require pilgrims to make tawaf, the seven times around the Kaaba in a counter-clockwise direction. Tawaf is performed by pilgrims during the umrah, the most significant times are during the hajj, when millions of pilgrims gather to circle the building within a 5-day period. In 2013, the number of pilgrims coming from outside the Kingdom of Saudi Arabia to perform hajj was officially reported as 1,379,531. In 2014, Saudi Arabia reported having completed Hajj permits for 1,389,053 international pilgrims and 63,375 for residents. The building is called by names in the Quran and Hadith, such as Bait, Bait ul Haram, Bait Ullah, Bait al-Ateeq. The Arabic word Bait is cognate to the Hebrew Bait, meaning House, the Arabic word Kaaba means square or cube. 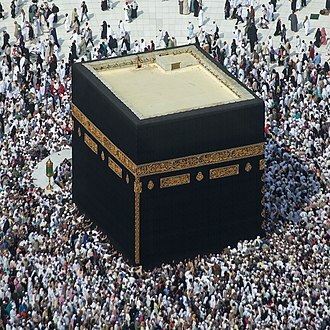 The Quran mentions Bait al-Mamur, the House of God in Heavens which the Kaaba symbolizes, the Kaaba is a stone cube structure made of granite. The Kaaba is approximately 13.1 m high, with sides measuring 11.03 m by 12.86 m, inside the Kaaba, the floor is made of marble and limestone. 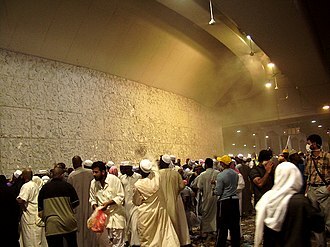 The interior walls, measuring 13 m by 9 m, are clad with tiled, white marble halfway to the roof, the floor of the interior stands about 2.2 m above the ground area where tawaf is performed. 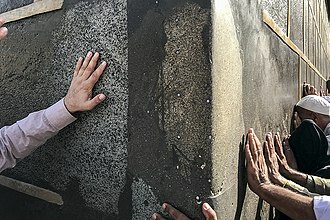 The wall directly adjacent to the entrance of the Kaaba has six tablets inlaid with inscriptions, along the top corners of the walls runs a green cloth embroidered with gold Quranic verses. 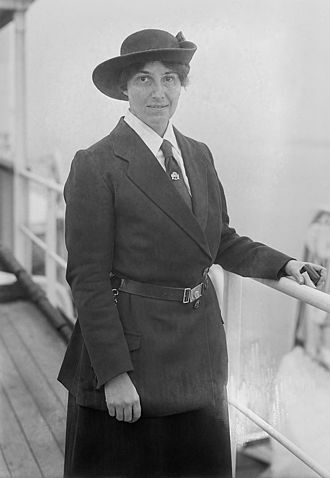 During the first half of the twentieth century, the movement grew to encompass three major age groups for boys and, in 1910, a new organization, Girl Guides, was created for girls. 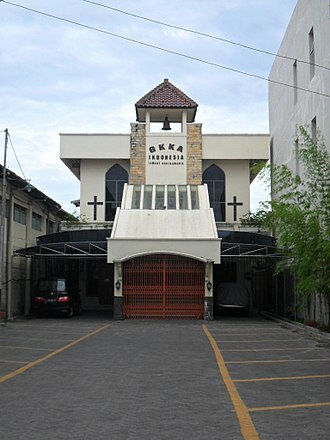 It is one of worldwide youth organizations. In 1906 and 1907 Robert Baden-Powell, a lieutenant general in the British Army, wrote a book for boys about reconnaissance, in the summer of 1907 Baden-Powell held a camp on Brownsea Island in England to test ideas for his book. This camp and the publication of Scouting for Boys are generally regarded as the start of the Scout movement. The movement employs the Scout method, a programme of education with an emphasis on practical outdoor activities, including camping, aquatics, backpacking. Distinctive uniform insignia include the fleur-de-lis and the trefoil, as well as badges, the year 2007 marked the centenary of Scouting worldwide, and member organizations planned events to celebrate the occasion. Scouting virtually started itself, but the trigger that set it going was the 1908 publication of Scouting for Boys written by Robert Baden-Powell, at Charterhouse, one of Englands most famous public schools, Baden-Powell had an interest in the outdoors. Later, as an officer, Baden-Powell was stationed in British India in the 1880s where he took an interest in military scouting and in 1884 he published Reconnaissance. These skills eventually formed the basis of what is now called scoutcraft, three years later, in South Africa during the Second Boer War, Baden-Powell was besieged in the small town of Mafeking by a much larger Boer army. The Mafeking Cadet Corps was a group of youths that supported the troops by carrying messages, the Cadet Corps performed well, helping in the defense of the town, and were one of the many factors that inspired Baden-Powell to form the Scouting movement. Each member received a badge that illustrated a combined compass point, the badges logo was similar to the fleur-de-lis shaped arrowhead that Scouting adopted as its international symbol. In the United Kingdom, the public, through newspapers, followed Baden-Powells struggle to hold Mafeking, and he was urged to rewrite this book for boys, especially during an inspection of the Boys Brigade, a large youth movement drilled with military precision. Baden-Powell thought this would not be attractive and suggested that the Boys Brigade could grow much larger were Scouting to be used and he studied other schemes, parts of which he used for Scouting. In July 1906, Ernest Thompson Seton sent Baden-Powell a copy of his 1902 book The Birchbark Roll of the Woodcraft Indians, Seton, a British-born Canadian-American living in the United States, met Baden-Powell in October 1906, and they shared ideas about youth training programs. In 1907 Baden-Powell wrote a draft called Boy Patrols, in the same year, to test his ideas, he gathered 21 boys of mixed social backgrounds and held a week-long camp in August on Brownsea Island in Poole Harbour, England. His organizational method, now known as the Patrol System and a key part of Scouting training, in the autumn of 1907, Baden-Powell went on an extensive speaking tour arranged by his publisher, Arthur Pearson, to promote his forthcoming book, Scouting for Boys. He had not simply rewritten his Aids to Scouting, he omitted the military aspects and transferred the techniques to non-military heroes, backwoodsmen and he added innovative educational principles by which he extended the attractive game to a personal mental education. Agence France-Presse is an international news agency headquartered in Paris, France. Founded in 1944, AFP is the third largest news agency in the world, after the Associated Press, journalists of the French Resistance established the AFP in the headquarters of the former Office Français dInformation, a Vichy news agency, following the liberation of Paris. Currently, the CEO is Emmanuel Hoog and the News Director is Michèle Léridon, AFP has regional offices in Nicosia, Hong Kong, and Washington, D. C. and bureaux in 150 countries. AFP transmits news in French, Arabic, Spanish, the Agence Havas was founded in 1835 by a Parisian translator and advertising agent, Charles-Louis Havas as Agence Havas. 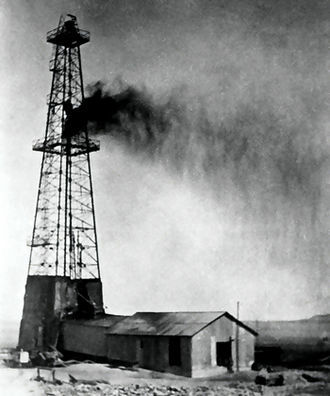 Two of his employees, Paul Reuter and Bernhard Wolff, set up rival news agencies in London and Berlin respectively and this arrangement lasted until the 1930s, when the invention of short-wave wireless improved and cut communications costs. To help Havas extend the scope of its reporting at a time of international tension. 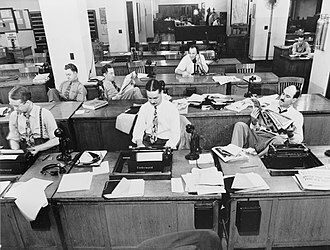 Established as an enterprise, AFP devoted the post-war years to developing its network of international correspondents. One of them was the first Western journalist to report the death of the Soviet leader Joseph Stalin on March 6,1953, AFP was keen to shake off its semi-official status, and on January 10,1957 the French Parliament passed a law establishing its independence. Since that date, the proportion of the revenues generated by subscriptions from government departments has steadily declined. 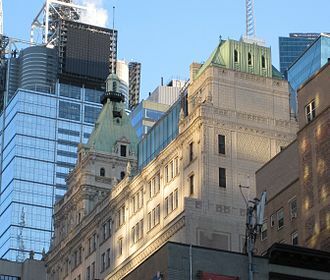 Such subscriptions represented 115 million Euros in 2011, in 1982, the agency began to decentralize its editorial decision-making by setting up the first of its five autonomous regional centres, in Hong Kong, a British Crown colony. 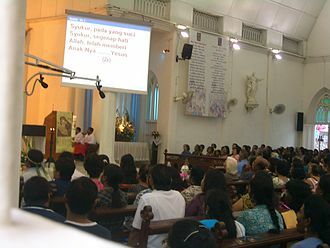 Each region has its own budget, administrative director and chief editor, in September 2007, the AFP Foundation was launched to promote higher standards of journalism worldwide. The Mitrokhin archive identified six agents and two confidential KGB contacts inside Agence France-Presse who were used in Soviet operations in France, in 1991, AFP set up a joint venture with Extel to create a financial news service, AFX News. 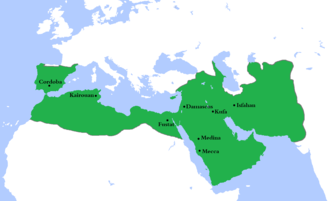 The Rashidun Caliphate was the Islamic caliphate in the earliest period of Islam, comprising the first five caliphs—the Rightly Guided or Rashidun caliphs. It was founded after Muhammads death in 632 CE, after Muhammads death in 632 CE, the Medinan Ansar debated which of them should succeed him in running the affairs of the Muslims while Muhammads household was busy with his burial. Umar and Abu Ubaidah ibn al-Jarrah pledged their loyalty to Abu Bakr, with the Ansar, Abu Bakr thus became the first Khalīfatu Rasūli l-Lāh successor of the Messenger of God, or caliph, and embarked on campaigns to propagate Islam. First he would have to subdue the Arabian tribes which had claimed that although they pledged allegiance to Muhammad and accepted Islam, as a caliph, Abu Bakr was not a monarch and never claimed such a title, nor did any of his three successors. Rather, their election and leadership were based upon merit, as for the fifth Caliph, ‘Alis son Al-Hasan, as a son of Fatimah, he was a grandson of Muhammad. Furthermore, according to other hadiths in Sunan Abu Dawood and Musnad Ahmad ibn Hanbal, towards the end times, Abu Bakr, the oldest companion of Muhammad, was caliph for only 2 years before he died. 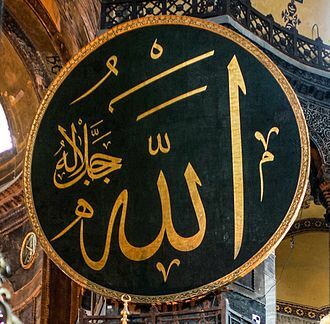 When Muhammad died, Abu Bakr and Umar, his two companions, were in the Saqifah meeting to select his successor while the family of Muhammad was busy with his funeral, controversy among the Muslims emerged about whom to name as Caliph. 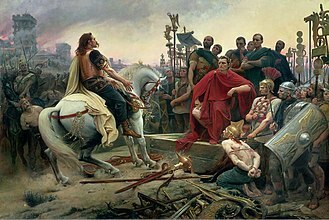 There was disagreement between the Meccan followers of Muhammad who had emigrated with him in 622 and the Medinans who had become followers, the Ansar, considering themselves being the hosts and loyal companions of Muhammad, nominated Sad bin Ubadah as their candidate for the Caliphate. In the end, Muhammads closest friend, Abu Bakr, was named the khalifa or Successor of Muhammad, a new circumstance had formed a new, untried political formation, the caliphate. 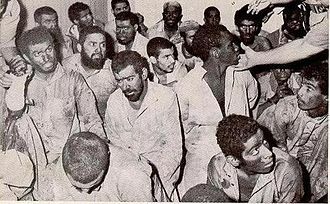 Troubles emerged soon after Muhammads death, threatening the unity and stability of the new community, Apostasy spread to every tribe in the Arabian Peninsula with the exception of the people in Mecca and Medina, the Banu Thaqif in Taif and the Bani Abdul Qais of Oman. Ibrahim, known as Abraham in the Hebrew Bible, is recognized as a prophet and messenger in Islam of God. Abraham plays a prominent role as an example of faith in Judaism, Christianity, in Muslim belief, Abraham fulfilled all the commandments and trials wherein God nurtured him throughout his lifetime. As a result of his faith in God, Abraham was promised by God to be a leader to all the nations of the world. The Qur’an extols Abraham as a model, an exemplar, Muslims believe that the prophet Abraham became the leader of the righteous in his time, and that it was through him that people of both the Arabian Peninsula and Israel came. Abraham, in the belief of Islam, was instrumental in cleansing the world of idolatry at the time, paganism was cleared out by Abraham in both Arabia and Canaan. He spiritually purified both places as well as physically sanctifying the houses of worship and Ismail further established the rites of pilgrimage, or Hajj, which are still followed by Muslims today. Muslims maintain that Abraham further asked God to bless both the lines of his progeny, of Ismail and Ishaq, and to all of his descendants in the protection of God. They believe that Muhammad is a descendant of Abraham through Ishmael, Muslims maintain that Abrahams father was Aazar, which could be derived from the Syriac Athar, who is known in the Hebrew Bible as Terah. 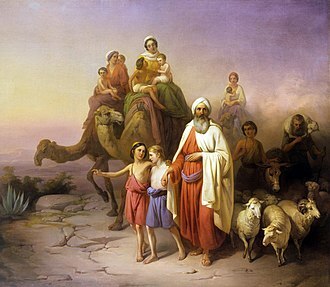 Other Muslims maintain that Azar was his paternal uncle and scholars believed that Abraham himself had many children, but Ismail and Ishaq were the only two who became prophets. Abrahams two wives are believed to have been Sarah and Hājar, the latter of whom was originally Sarahs handmaiden, Abrahams nephew is said to have been the messenger Lut, who was one of the other people who migrated with Abraham out of their community. Abraham himself is said to have been a descendant of Nuh through his son Shem, Abrahams personality and character is one of the most in-depth in the whole Qur’an, and Abraham is specifically mentioned as being a kind and compassionate man. Abrahams father is understood by Muslims to have been a wicked, the relationship between Abraham and his father, who in the Qur’an is named Azar, is central to Abrahams story as Muslims understand it to establish a large part of Abrahams personality. 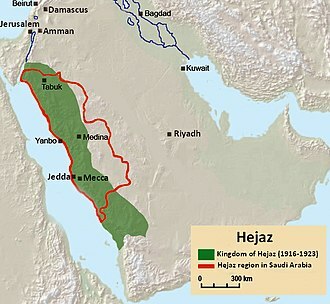 The Kingdom of Hejaz was a state in the Hejaz region in the Middle East ruled by the Hashemite dynasty. The new kingdom had a life and was conquered in 1925 by the neighbouring Sultanate of Nejd under a resurgent House of Saud, creating the Kingdom of Hejaz. On 23 September 1932, the Kingdom of Hejaz and Nejd joined the Saudi dominions of Al-Hasa and Qatif, the Sharif of Mecca was an office appointed by the Sultan of the Ottoman Empire in their capacity as Caliph. The role went to a member of the Hashemite family, but the Sultans typically used inter-familial rivalry to pick and choose from among contenders and so ensure that the Sharif remained weak. 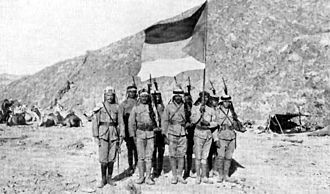 The British already had a series of treaties with other Arab leaders in the region and were fearful that the Hejaz could be used as a base to attack their shipping to. The British though, were compromised by their agreement to give the French control of Syria and did not, in Husseins eyes, they did eventually create Hashemite-ruled kingdoms in Jordan and Iraq alongside Hejaz. Pre-Islamic Arabia refers to the Arabian Peninsula prior to the rise of Islam in the 630s. Pre-Islamic religion in Arabia consisted of indigenous beliefs, Ancient Arabian Christianity, Nestorian Christianity. In the latter stages of the era, Christianity gained converts with some unorthodox sects, such as the gnostics. Archaeological exploration in the Arabian Peninsula has been sparse but fruitful, the most recent detailed study of pre-Islamic Arabia is Arabs and Empires Before Islam, published by Oxford University Press in 2015. This book collects a range of ancient texts and inscriptions for the history of the region during this time period. 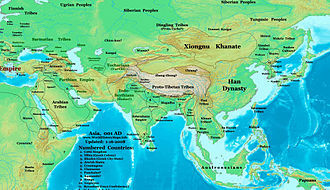 Ubaid period - could have originated in Eastern Arabia, umm an-Nar Culture Sabr culture Magan is attested as the name of a trading partner of the Sumerians. It is often assumed to have located in Oman. The Aadids established themselves in South Arabia, settling to the east of the Qahtan tribe and they established the Kingdom of ʿĀd around the 10th century BCE to the 3rd century CE. The ʿĀd nation were known to the Greeks and Egyptians, claudius Ptolemys Geographos refers to the place by a Hellenized version of the inhabitants of the capital Ubar. The sedentary people of pre-Islamic Eastern Arabia were mainly Aramaic speakers, in pre-Islamic times, the population of Eastern Arabia consisted of Christianized Arabs, Aramean Christians, Persian-speaking Zoroastrians and Jewish agriculturalists. 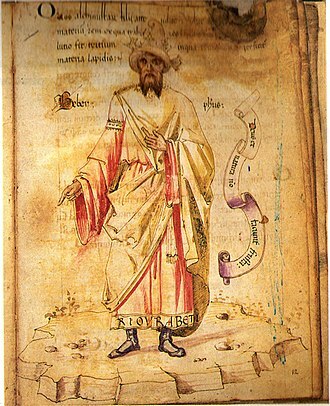 Nestorian Christianity was the dominant religion in pre-Islamic Eastern Arabia, Zoroastrianism was present, the Zoroastrians of Eastern Arabia were known as Majoos in pre-Islamic times. 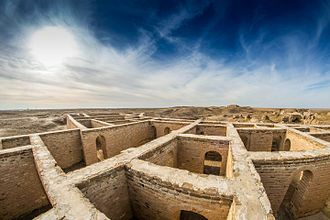 The sedentary dialects of Eastern Arabia, including Bahrani Arabic, were influenced by Akkadian, the Dilmun civilization was an important trading centre which at the height of its power controlled the Persian Gulf trading routes. The Sumerians regarded Dilmun as holy land, Dilmun is regarded as one of the oldest ancient civilizations in the Middle East. The Sumerians described Dilmun as a garden in the Epic of Gilgamesh. In Europe, alleged Zamzam water is frequently bottled in plastic containers of this type. Zamzam water in a plastic bottle for non-commercial distribution in Pakistan. This is a typical way to distribute the water to friends and family by people returning from Hajj and Umrah in Pakistan. Ibrahim's Sacrifice. Timurid Anthology, 1410-11. Number and location of people fleeing the violence in Syria, 13 June 2012. Syrian refugee center on the Turkish border 80 kilometers from Aleppo, Syria (3 August 2012). The new partially completed Jamarat Bridge, Hajj 2007. Pilgrims stone the jamrah in the lower level. Harrat al Birk volcanic field. Kingdom of Hejaz (green) and present Hejaz region (red) on the Arabian Peninsula. Muhammad and his companions advancing on Mecca. The angels Gabriel, Michael, Israfil and Azrael, are also in the painting.